Andrea and Mark in the Sacred Valley in PERU. and have operated and led spiritual pilgrimages yearly since that time to the world's sacred sites. as well as our Featured Speaker, Meditation Facilitator and Tour Director. and five other books about the esoteric history of our planet and the Goddess Tradition. and offers Sedona Vortex & City of the Star People Experiences in Sedona, AZ USA. 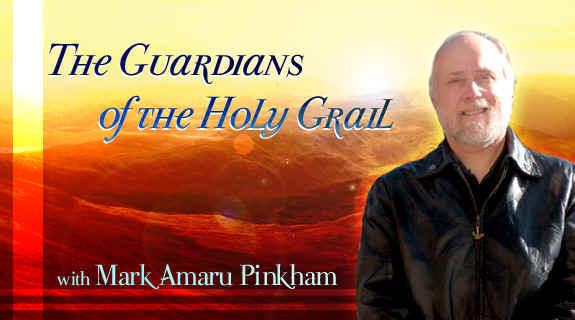 Mark is the Founder/Director and Lead Teacher of The Order & Mystery School of the Seven Rays. 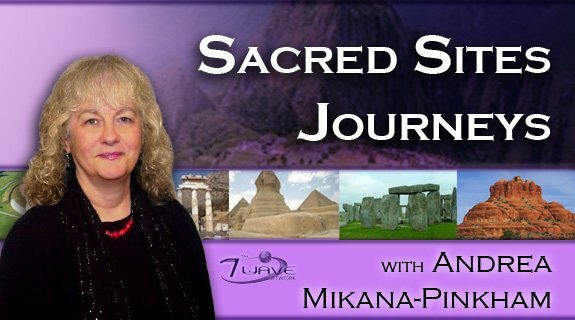 Andrea Mikana-Pinkham has over 25 years of experience in the sacred travel field. 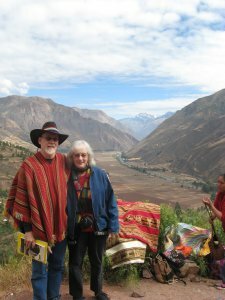 Her journey began in 1993 when she and her husband, author Mark Amaru Pinkham, founded a sacred travel company after their first trip to Peru, taken to complete the research for Mark's first book, The Return of the Serpents of Wisdom. Andrea operated a sacred travel company for seven years, before teaming up with another sacred travel company in late 2000. She was the Director of the Sacred Journeys division of the company from that time until leaving at the end of 2008, to resume operating her own sacred travel company again. Andrea is familiar with the operations of sacred programs on all levels. She directs the day-to-day tour-related operations. She also takes advance trips to countries where Sacred Sites Journeys offers tours, to meet with land operators, guides, hotel and restaurant owners, as well as local artisans, musicians and spiritual leaders. She creates, prices, advertises and promotes these sacred travel programs. Andrea is the Tour Director as well as the Speaker & Meditation/Sacred Ceremony Facilitator on Sacred Sites Journeys to the worlds most important sacred sites. In addition, Andrea is a teacher in the The Seven Rays Order and Mystery School. She is a trained shamanic practitioner, Reiki Grand Master of Ichi Sekai (One World) Reiki, and a spiritual counselor. Andrea Mikana-Pinkham is an avid practitioner of the Goddess Tradition and has re-connected with her hereditary and spiritual roots during the sacred journeys that she leads to Ireland, England and Scotland. 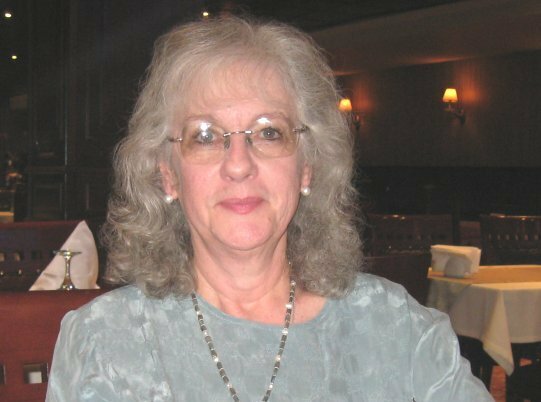 Andrea passionately shares the teachings of Celtic Spirituality and was initiated in Glastonbury as a Sister of Avalon, by Koko Newport, Priestess of Avalon. Andrea has worked in the holistic healing & personal growth field for many years. In 1988 she began her journey with Reiki, a hands-on natural healing system. 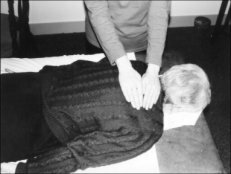 In 1991 she became a Reiki Master Teacher in this healing modality and founded a system that synthesized older and newer systems. Since then she has taught in the U. S. and South America. 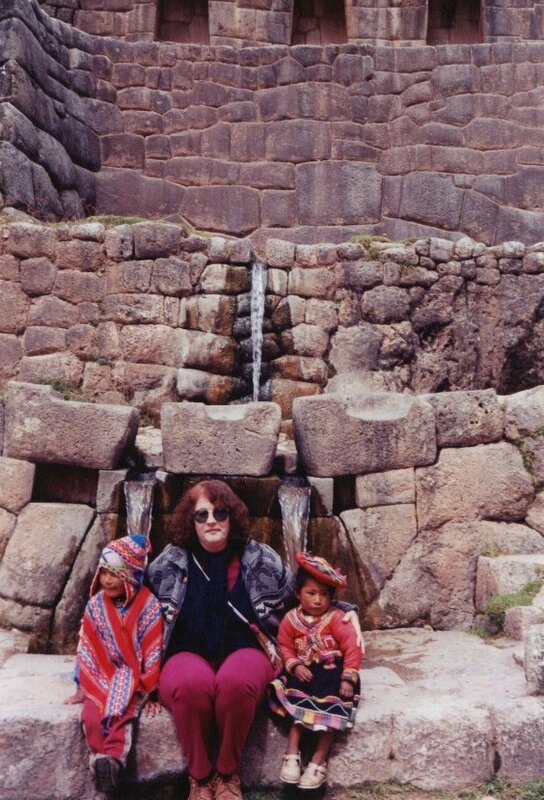 Since 1993 Andrea has studied in Peru with various Andean ritual specialists and is a Mesa Carrier in the Inca Spiritual Tradition. She is a member of two Andean esoteric societies, the Brotherhood Sisterhood of the Solar Disc and the Brotherhood of the Sun. Andrea also supports programs in Peru to aid children and their families. In addition, Andrea has studied for many years in the indigenous Ojibway Medicine Tradition with Medicine Woman Keewaydinoquay from Garden Island, Lake Michigan, and is adept at leading ceremonies to connect with the Earth and Her wisdom. Her diverse background includes membership to the Fellowship of Isis. Andrea has a strong connection with Isis, as well as Hathor and Sekhmet. During the spiritual pilgrimages to Egypt, she offers sacred ceremony and meditation at each temple, to connect with these and the other Neters in the vast Egyptian pantheon. 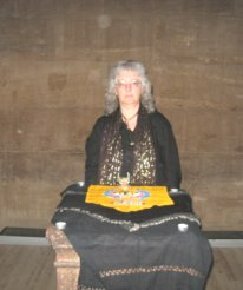 Andrea received initiation as a Sister of Avalon at the Chalice Well in Glastonbury, England from Koko Newport, Priestess of Avalon. Embracing the Divine Feminine aspect in many cultures, Andrea is a student of Mata Amritanandamayi, the Divine Mother from India, and for many years facilitated weekly satsangs in her home, leading chants and meditations. Andrea has been a presenter at various expos, including The Whole Life Expo. She has appeared on various radio and television programs. In 2009 she was the Host for Sacred Sites Journeys weekly internet Radio Program. To listen to previously aired programs listed below, click on the links. Guest: Dr. Jose (Pepe) Altamirano, SSJ's spiritual tour guide in Peru. a one-world humanity in the near future. This is Mark's eighth book. This is Mark's seventh book. of the successive stages in the creation of the universe. is shown to correspond to an important step in the creation of the cosmos. of both Sacred Geometry and the cosmology of the universe. in the powerful and transformative Red Rock Country of Sedona, AZ USA. 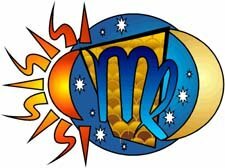 Mark is a professional Astrologer with over 30 years of experience. He offers in-depth readings in both the Western and Vedic or Hindu - also known as Joytish - systems of Astrology. 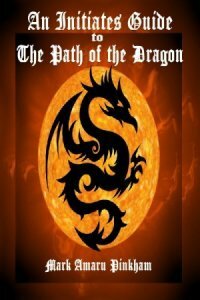 Marks readings, which are both practical and spiritual, provide unique information regarding a persons karma and spiritual destiny. For those of you on FACEBOOK, Mark has an Astrology Page. He posts current astrological information several times weekly. Check it out! Mark has been gathering the wisdom contained within his books since 1976 when, at 21, he traveled across Europe and Asia to India. He resided for seven years within the ashrams of the yoga and meditation master Swami Muktananda. 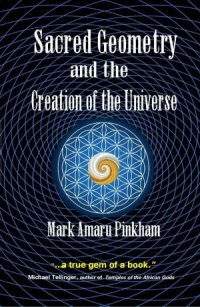 During that time Mark intensively studied the Hindu scriptures, as well as the wisdom compiled by the Theosophists of India regarding the secret history of Earth. Since 1996, Mark has been a student of Mata Amritanandamayi, the "hugging saint" from India, and has resided in her ashram in south India. Since 1990 Mark has been involved in intensive research regarding the secret mysteries of the Earths esoteric history. During this time Mark has been initiated into two Andean esoteric societies, apprenticed to a master shaman in Peru, and helped lead an expedition in search of a secret monastery in the Andes. 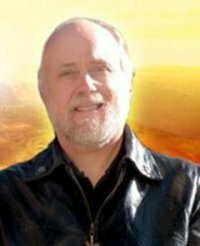 While leading tours he is continuously gathering new information about the esoteric origins and the lineages of spiritual teachers that have guided humanitys spiritual destiny. Mark was the Co-organizer and Featured Speaker for the 2012 Sedona: Birthing the Fifth World conference, held in Sedona, AZ Dec 19 - 21, 2012. Mark was a Speaker at the Ubantu Festival in South Africa in April 2018. We also invite you to join our Sacred Sites Journeys Group on Facebook. are using our text, photos and testimonials. We did not give them permission to do so.